We understand the unique challenges that come with operating a Family Entertainment Center, that’s why TRAY’s cloud-based platform has everything you need to power your FEC. Our enterprise-class technology seamlessly integrates multiple software modules into a single easy-to-use solution. Our self-service kiosk solution gives your customers the option to skip the line with a self-order experience that’s simple and intuitive. For instance, kiosks can be used to sell tickets at entry or for signing electronic waivers. They can also be used to enhance your food & beverage service by allowing guests to order and pay without having to wait for a server or cashier. In short, TRAY’s self-service kiosks improve the guest experience while freeing up labor and allowing you to redeploy staff to other areas. Want to increase sales with large group bookings? TRAY offers a full-featured party booking module that integrates with our kiosks and point of sale system. Allow customers to book parties online from your website. Design custom party packages for customers to choose from. Packages feature a description, package fee and option to add additional guest pricing. Create add-on options to up-sell and generate more revenue. TRAY is an end-to-end solution, created to serve as a single platform for your business. Our cloud-based architecture eliminates the need for an on-site server. This allows you to access your sales data from any web browser and make menu changes on the fly. TRAY’s easy-to-use POS software can power your ticketing, retail and food & beverage sales. Not to mention, our built-in loyalty and promotions allow you to create customized marketing campaigns. Whether you have a snack bar or a full kitchen and bar, TRAY makes managing your food & beverage operations easy with our Smart Printers and KDS screens. Never lose a ticket again. Our Kitchen Display System (KDS) provides a consolidated view of all open tickets, displaying orders and wait times and alerting you when orders are taking too long. Also, our patented Smart Printers are fully interactive, allowing staff to accept or reject orders on the printer and alerting staff of new orders with a configurable buzzer that gets louder with time. Larger venues can benefit from the use of handheld POS tablets. Handheld devices eliminate walking times and cut order entry time. Allow staff to take orders and payments remotely and increase revenue, tips and security. With wireless and cellular connectivity options and a durable design, built to withstand drops, TRAY’s ruggedized handheld POS is a great option for outdoor use as well. Tablets also have an optional stand that allow you to turn the tablet into a fixed-base unit. Therefore, providing the option to use as a stationary POS or self-order kiosk, making them extremely flexible. Many FEC’s that offer game play, have implemented cashless debit card systems. That’s why TRAY’s cloud-based system is integrated with several leading debit card systems. This provides merchants with the ability to sell and reload cards directly from the point of sale system and self-service kiosks. This integration not only creates a more seamless guest experience but also consolidates revenue reporting for clients using both systems. 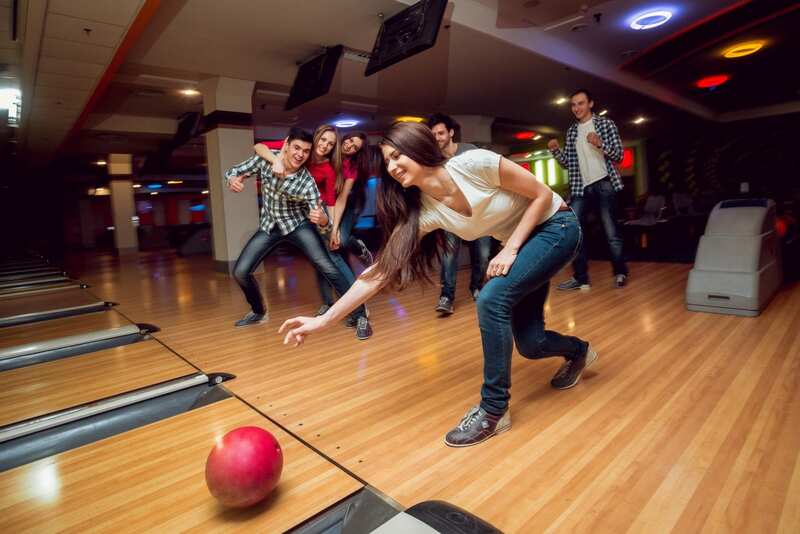 Bowling alleys, waterparks, rollerskating rinks, trampoline parks-TRAY has the all-in-one solution for your FEC needs. Monetize the data captured at our kiosks by using FetchRev to send automated promotional offers. TRAY and FetchRev use each other’s APIs to communicate, allowing the FetchRev platform to receive customer data captured during the ordering process at TRAY’s self-service kiosks. This information is then used to send targeted marketing campaigns to guests that increase traffic and revenue.